After El Chapo's conviction in a drug-trafficking trial that included florid testimony of jewel-encrusted guns, a fleet of cash-laden jets and a personal zoo with roaming big cats, some Americans have floated an idea they see as poetic justice: Why not take some of the Mexican drug lord's billions in ill-gotten gains and make him pay for a border wall? 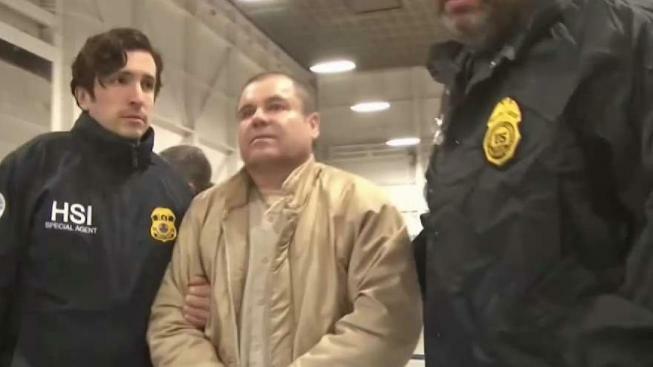 That may be a tall order, especially since federal officials can't say for sure how much Joaquin Guzman may still have from his decades of smuggling drugs into the U.S., or how exactly they intend to get their hands on it. For now, the U.S. Department of Justice says it will be seeking forfeiture of a fortune that Guzman's indictment valued at $14 billion. Authorities won't say how they came up with that figure, but experts say it is likely based on evidence of the value of the proceeds of massive drug shipments and whatever assets were used as part of the trafficking enterprise. With Guzman, who faces life in prison for smuggling tons of heroin, meth, fentanyl and marijuana into the U.S., authorities know their forfeiture estimate is partly symbolic, to send a message to other traffickers that a conviction could cost them their fortune as well as their freedom, said Duncan Levin, a former federal prosecutor who specialized in forfeiture. "It's obvious he doesn't have $14 billion," Levin said. "And whatever he has may be largely uncollectable." That reality hasn't stopped conservatives from injecting border-wall politics into the El Chapo case. Republican Sen. Ted Cruz of Texas promises to reintroduce a bill named after El Chapo that would require money seized from Mexican cartels be dedicated to a border security. Cruz said in an interview on Fox News that he got the idea for the bill more than a year ago as Congress was debating the cost of President Donald Trump's proposed border wall, then estimated at around $14 billion. "There's a natural and elegant symmetry that suggested itself," Cruz said. 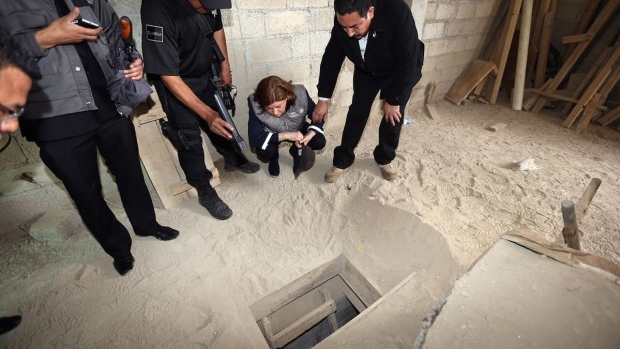 "Those billions that El Chapo has were made trafficking illegally across the U.S. border, bringing narcotics across the border, and it is only right that those ill-gotten gains go to fixing the problem of stopping the next narco-trafficker." Getting at those gains is another matter. In domestic white-collar cases, there's usually a paper trail that points to seizable assets in hidden bank accounts and shell companies. But El Chapo's trial was rife with evidence about how his Sinaloa cartel went to great lengths to hide its profits, whether stashing cash in safehouses or by laundering it through a phony fruit juice business in Mexico City. And then there were the hours of testimony about how much public officials in Mexico were on the take, not to mention the complications of clawing back assets in another country. Still, there were some tantalizing details of opulence from the trial. Jurors heard one cooperating witness, Miguel Angel Martinez, describe how during the 1990s "cocaine boom" Guzman had "houses at every single beach" and ranches "in every single state." 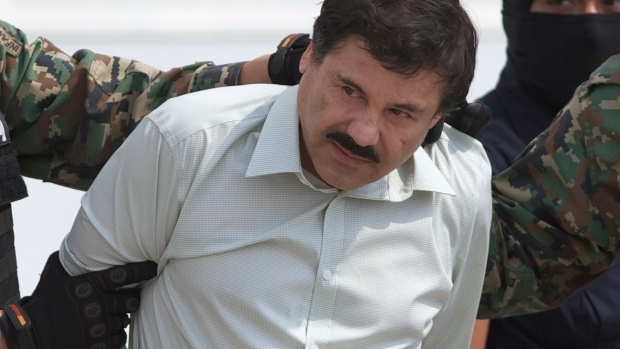 He said Guzman would send his three private jets each month to pick up drug money in Tijuana. On average, each plane would carry up to $10 million to Sinaloa. But the defense claimed the government's narrative of a flood of cash fueling Guzman's conspicuous consumption was wildly exaggerated. In his closing argument, defense attorney Jeffrey Lichtman cited testimony from another cooperator who said that when Guzman was on the run as one of Mexico's most wanted about 10 years ago, he was $20 million in debt and could barely pay the underlings protecting him in one of his mountainside hideouts. "The dude had no money," Lichtman told the jury. Lichtman insisted in a phone interview Thursday that the idea that the 61-year-old Guzman is a billionaire is bogus. The $14 billon "is a fantasy figure," he said. "It's fantasy not only on how it was reached, but on how they hope to collect on it." The final forfeiture must be set by U.S. District Judge Brian Cogan. Clues for how that might play out can be found in the case of Alfredo Beltrán-Leyva, another powerful Mexican kingpin - who pleaded guilty to U.S. drug charges and is serving a life term. The government asked a judge for a $10 billion forfeiture order it said was based on debriefings of top lieutenants in the Beltran-Leyva cartel who detailed his assets. Eduardo Balarezo, who represented Beltran-Leyva, got that total knocked down to the $529 million after arguing that the $10 billion figure was "pulled from thin air" and impossible to enforce. The lawyer sought to make that a similar point at the Guzman trial in his cross-examination of a former cartel member who testified against Guzman. The topic was his own $1 billion forfeiture order. "The bottom line is you're never going to pay anything remotely resembling that number, right?" the lawyer asked. The witness responded: "An amount like that, no."